I just love coconut oil. I only really discovered it over the last few years and now my cupboard is never without a jar. 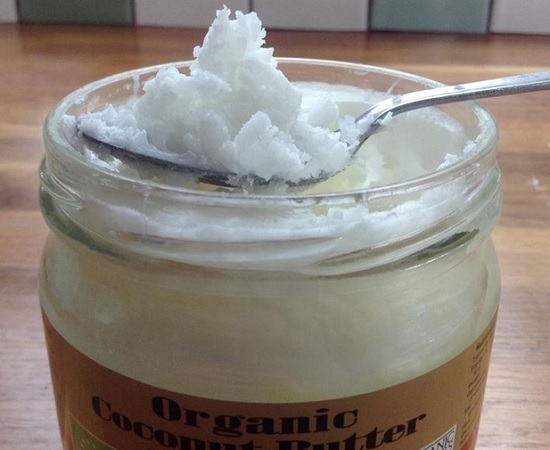 It has so many amazing uses that I just had to share with you what I use my coconut oil for. I take some with me wherever I go so it’s definitely part of my allergy survival kit. Strenthens skin – yes it’s true. Coconut oil has been proven to strengthen your skin so use it moisturise even those sensitive areas. It’s just one natural ingredient so as long as you buy unrefined and organic 100% pure coconut oil your skin will thank you for it. Heal eczema – When my skin is particularly bad and only thing I can normally use on it is gloopy and definitely not glamorous Epaderm ointment, coconut oil is a bit of luxury. It just melts into my sore skin and soothes it. It is quite expensive to buy so I do use Epaderm as well but if I could afford to I would just use coconut oil and feel like an exotic princess. It smells amazing too! Softens dry skin on your heels and feet – gently massage coconut oil into those hard to shift dry bits on your feet and they soon be soft and smooth. My feet used to be quite cracked and dry. Now they’re amazingly improved. Try it. Make-up remover – if you react to shop bought make-up remover and face wipes, try using some coconut oit. Melt some on your finger tips and gently apply to your eyes. Use a cotton wool pad to remove your make-up and your eyes will not sting and your skin won’t tighten. Soothe an itchy dry scalp – massage coconut oil into your scalp if you get dry and itchy skin. Once you’ve worked the oil all over your scalp put a warm towel over your head, wrap up your hair and let it soak in for as long as you can. It will take a while to wash out of your hair but it works wonders on my scalp. Condition your hair – this kind of goes along with the scalp treatment above, draw the oil down along the hair shaft and see the benefits of coconut oil on your hair. Many Middle Eastern countries have been using coconut oil like this for thousands of years. Oil pulling – this is a new craze which is really taking off. I have to admit that I found it really hard to do and gave up recently when my skin and allergies flared up so badly I just couldn’t cope with trying to swill oil round my mouth for 20 minutes every morning. I know people who have tried it say they will never stop. Read my blog about Oil Pulling which should be in the list of related blogs below. Ease tension headaches – I don’t know why it works, maybe it’s the incredible smell, but massaging some coconut oil into your temples or scalp will soothe a headache and relieve tension. Baking and cooking – You can substitute coconut oil for the fat when making flapjacks and cakes. You can spread it on crackers and bread. You can fry with it and it’s a safe oil as it isn’t changed at high temperatures. Add it to your coffee – yes I’m serious. I nicked this ideas from the ’50 ways to use coconut oil’ blog linked below. Put a tablespoon of coconut oil into your grinder when you grind up the beans to ensure it coats each coffee particle with oil and add a kick to your caffeine hit. For some reason grinding is better than stiring apparently. I haven’t tried this one but tomorrow morning I need to grind some fresh coffee so I’ll be getting me some coconut in my morning coffee. Don’t take my word it about how amazing coconut oil is, check out this blog with 50 ways to use coconut oil. Read more about this here from Truly Gluten Free about how Coconut oil strengthens your skin barrier. So how do you use yours? Are you a coconut oil convert too?